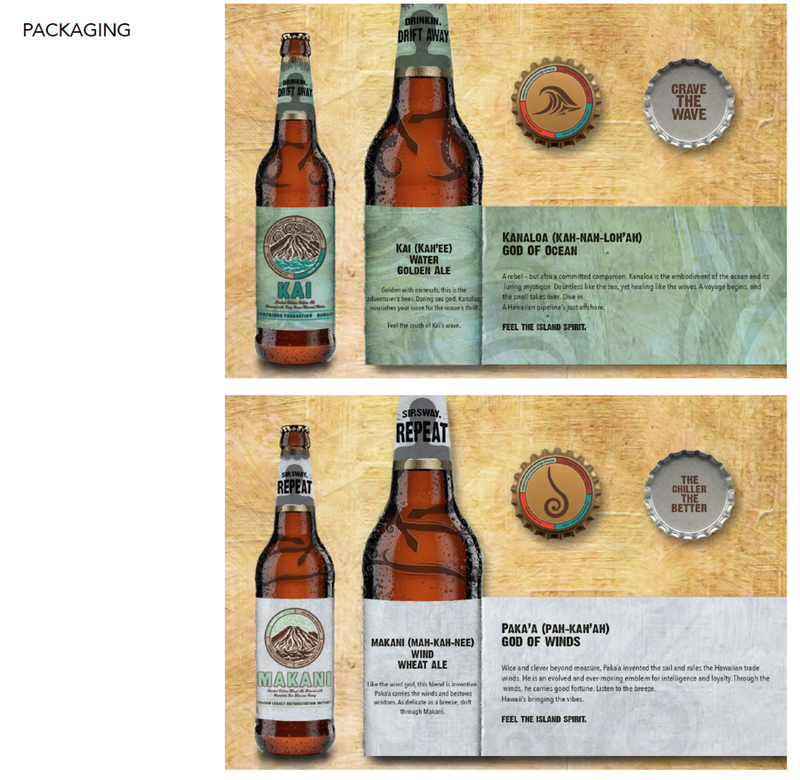 THE CHALLENGE Adapt a limited edition brew series for the Continental US in a way that keeps the heart of Hawai'i present while enticing trial. 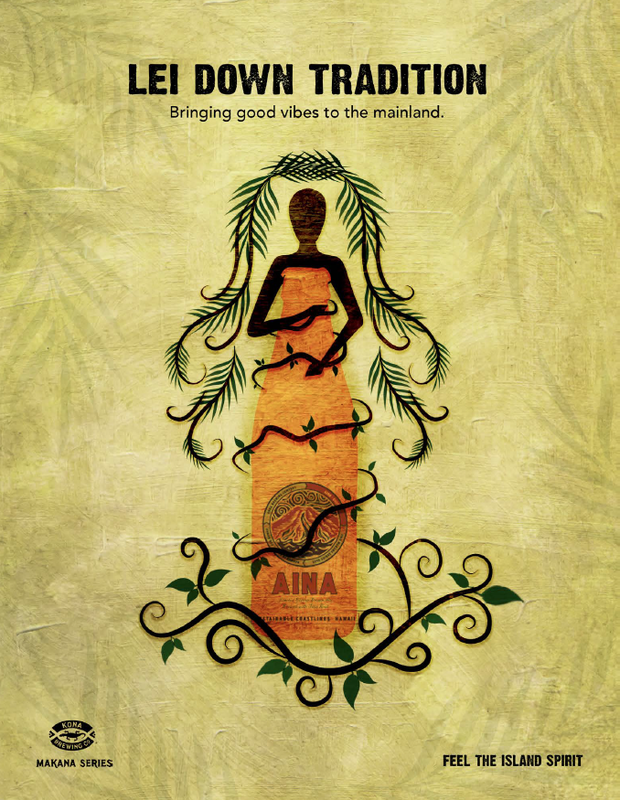 THE SOLUTION We brought their Aloha to the rest of the country in an ode to island traditions by connecting each unique brew to a Hawaiian god. 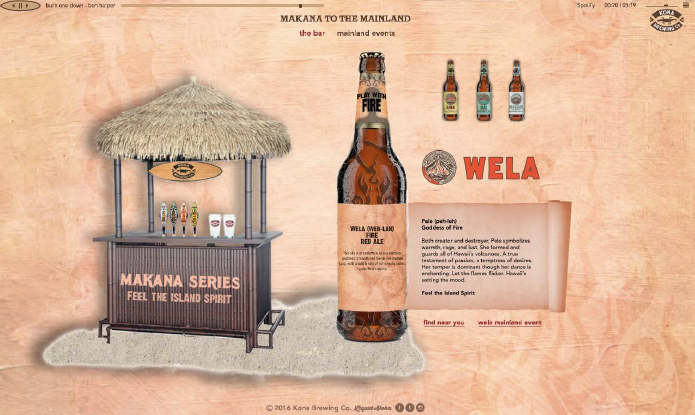 We illustrated our spirits through print, packaging, and pop up tiki bars which promoted events being held in four different locations across the country, one for each element. 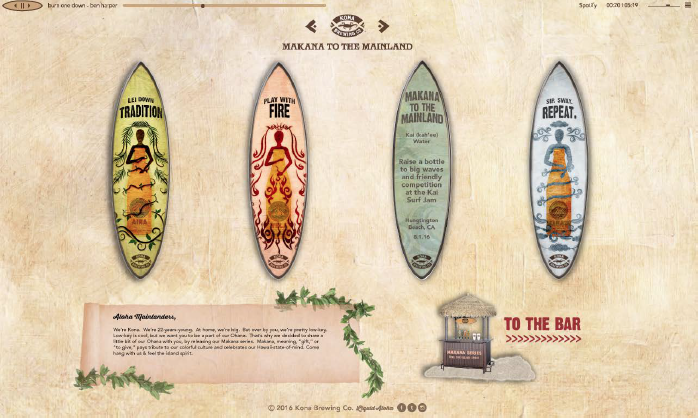 The tiki bars also offered samples of each brew to promote trial and create awareness for our brand. 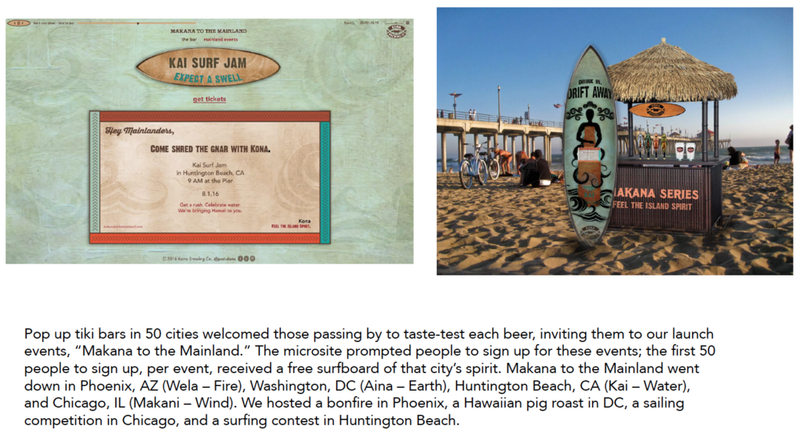 The event invitations given out at the tiki bars directed our audience to the microsite where viewers could get tickets for the events and locate where to purchase the limited edition beers.